This page is a blog article in progress, written by John Baez. For the final polished version, go to the Azimuth Blog. As a mathematician who has gotten interested in the problems facing our planet, I’ve been trying to cook up some new projects. Over the decades I’ve spent a lot of time studying quantum field theory, quantum gravity, n-categories, and numerous pretty topics in pure math. My accumulated knowledge doesn’t seem terribly relevant to my new goals. But I don’t feel like doing a complete ‘brain dump’ and starting from scratch. And my day job still requires that I prove theorems. I wish there were a branch of mathematics—in my dreams I call it green mathematics—that would interact with biology and ecology just as fruitfully as traditional mathematics interacts with physics. If the 20th century was the century of physics, and the 21st is the century of biology, shouldn’t mathematics change too? As we struggle to understand and improve humanity’s interaction with the biosphere, shouldn’t mathematicians have some role to play? Of course, it’s possible that when you study truly complex systems—from a living cell to the Earth as a whole—mathematics loses the unreasonable effectiveness that it so famously has in dealing with simple things like elementary particles. So, maybe there is no ‘green mathematics’. Or maybe ‘green mathematics’ can only be born after we realize it needs to be fundamentally different than traditional mathematics. It may require massive use of computers, instead of the paper-and-pencil methods that work so well in traditional mathematics. Perhaps simulations will become more important than proofs. That’s okay with me. Mathematicians like things to be elegant—but one can still can have elegant definitions and elegant models, even if one needs computer simulations to see what the models do. It’s also possible that ‘green mathematics’ already exists in preliminary form, scattered throughout many different fields: mathematical biology, quantitative ecology, bioinformatics, artificial life studies, and so on. Maybe we just need more mathematicians to learn these fields and seek to synthesize them. When dreaming of grand syntheses, it’s easy to get bogged down in vague generalities. Let’s start with something smaller and more manageable. 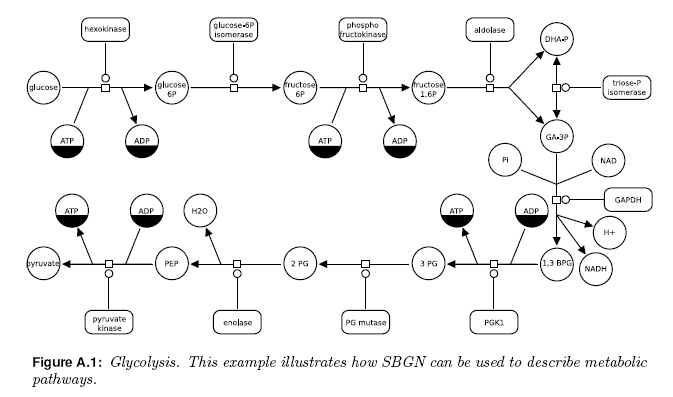 • Systems Biology Graphical Notation (SBGN) homepage. 1) The Process Description language shows the temporal course of biochemical interactions in a network. 2) The Entity Relationship language lets you to see all the relationships in which a given entity participates, regardless of the temporal aspects. 3) The Activity Flow language depicts the flow of information between biochemical entities in a network. • Howard T. Odum, Systems Ecology: an Introduction, Wiley-Interscience, New York, 1983. And don’t forget neural networks! It’s clear that people from different subjects are reinventing the same kinds of diagrams. It’s also clear that diagrams are being used in a number of fundamentally different ways. So, there’s a lot to sort out. 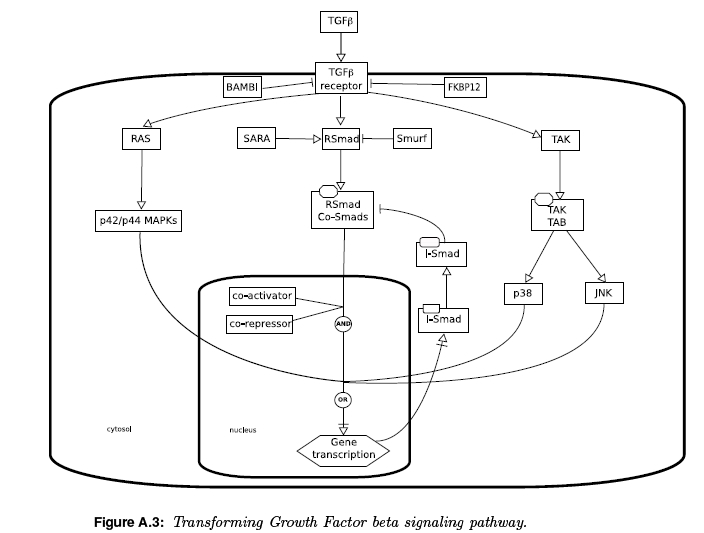 I already mentioned one attempt to straighten things out: Systems Biology Graphical Notation a But that’s not the only one. For example, in 2001 the International Council on Systems Engineering set up a committee to customize their existing Unified Modeling Language and create something called Systems Modeling Language. This features nine types of diagrams! So, people are already trying to systematize the use of diagrams. But mathematicians should join the fray. Why? Because mathematicians are especially good at soaring above the particulars and seeing general patterns. Also, they know ways to think of diagrams, not just as handy tools, but as rigorously defined structures that you can prove theorems about… with the help of category theory. • John Baez and Aaron Lauda, A prehistory of n-categorical physics, to appear in Deep Beauty: Mathematical Innovation and the Search for an Underlying Intelligibility of the Quantum World, ed. Hans Halvorson, Cambridge U. Press. • John Baez and Mike Stay, A Rosetta stone: topology, physics, logic and computation, in New Structures for Physics, ed. Bob Coecke, Lecture Notes in Physics vol. 813, Springer, Berlin, 2011, pp. 95-174. It would be good to expand this circle of ideas to include chemistry, biology, ecology, statistics, and so on. There should be a mathematical theory underlying the use of networks in all these disciplines. 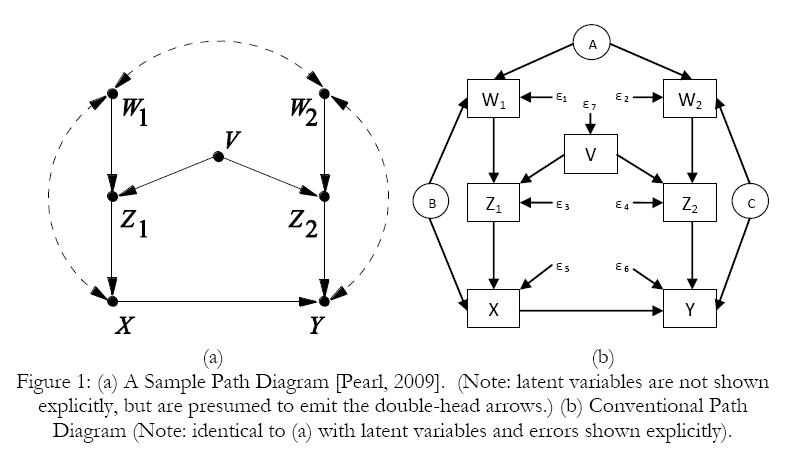 • Jacob D. Biamonte, Stephen R. Clark and Dieter Jaksch, Categorical tensor networks. So far we’ve focused on one aspect: stochastic Petri nets, which are used to describe chemical reactions and also certain predator-prey models in quantitative ecology. In the posts to come, I want to show how ideas from quantum field theory be used in studying stochastic Petri nets, and how this relates to the ‘categorification’ of Feynman diagram theory.